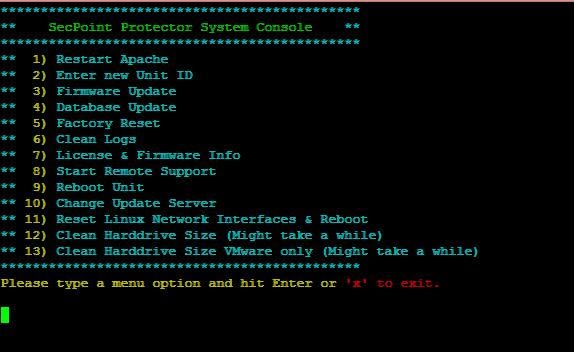 It is easy to install the newly released Firmware on the Protector firewall just by 1 click operation. Once the firmware is installing there will be normal operation and traffic pass. Once the upgrade has completed it is not even required to reboot the system since it can automatically reload services. Uptime is crucial and a high priority this way there is minimal downtime for the user. New improved screen videos more than 6 added to increase easy setup. New Console system easily manage many commands from the console without web interface.